Today we have another guest post, but this time its from long time college friend Athena. She spends her time all over, like Texas and California. 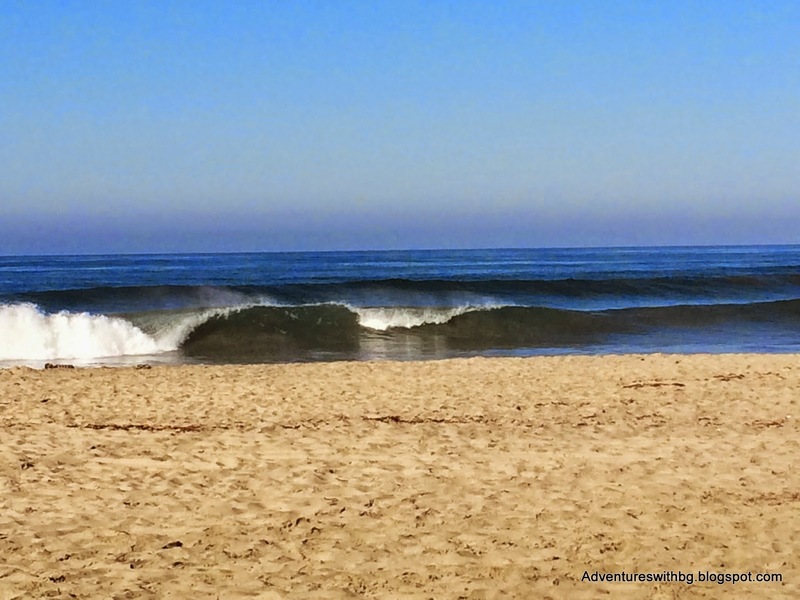 While she was in California she was kind enough to write a trip report on a fun beach adventure. I like my adventures pretty casual. The less work I have to put into getting out and doing it, the better. I am a lazy adventurer. That is why one of my favorite pastimes is going to the beach, particularly, Southern California beach. 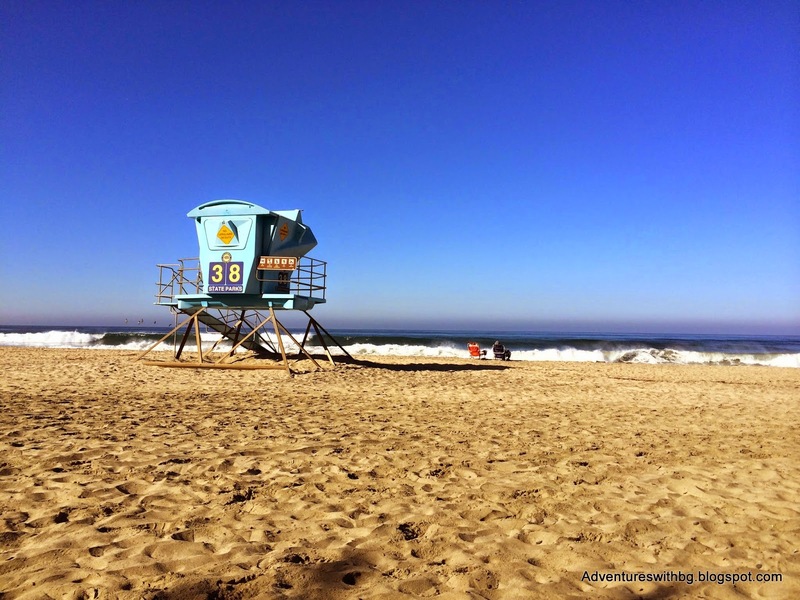 The weather is almost always perfect for going out and relaxing in the cool sand and getting your feet wet in the frigid Pacific. I find myself in Carlsbad, CA (Northern San Diego) at the end of August and what a glorious time to be here it is. This is the hottest part of the year here (83 degrees Fahrenheit…ha!) and with no A/C in the house, the beach is the best place to be. These people know what’s up. 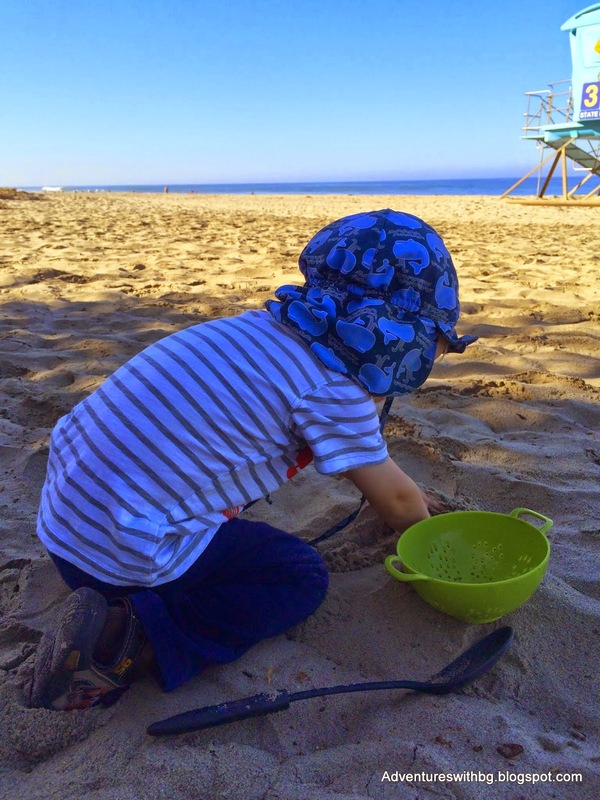 I am currently conducting a weeklong end-of-summer camp for my 2 ½ year old cousin, Little J, and heading four blocks over to Frazee Beach (http://www.sandiegosuncoast.com/beaches/carlsbad-beaches/robert-c-frazee-beach-carlsbad) is on the agenda daily. Frazee Beach is a beautiful public beach area with a seawall you can run along the top of or down below. During the summer, the lifeguard stands are open and the beach is paaacked with people. There are usually alternating sections of surf and swim. 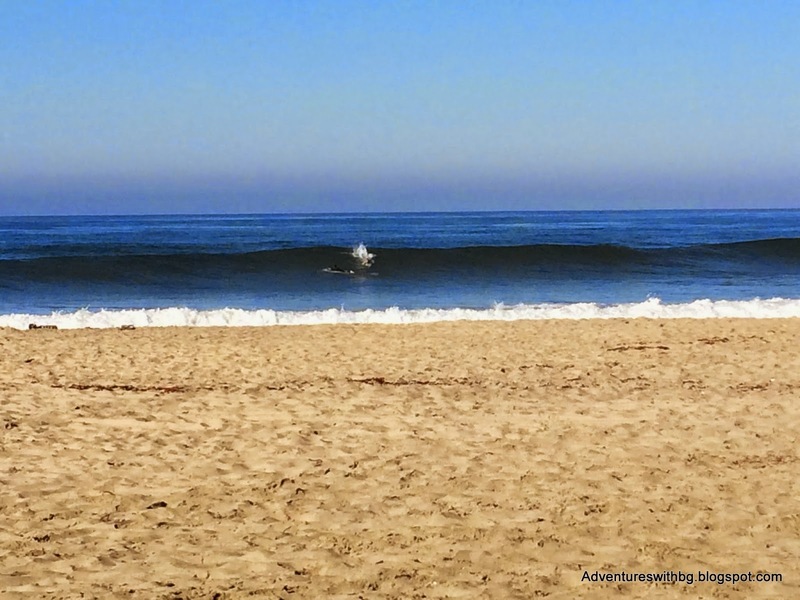 Typically, the best surfing conditions are south near Tamarack Road. There are gorgeous bungalows, rentals, small hotels, and large houses to the north. If you have a net, there are also several volleyball poles you can use or on Wednesday and Saturday open volleyball meet-ups occur. 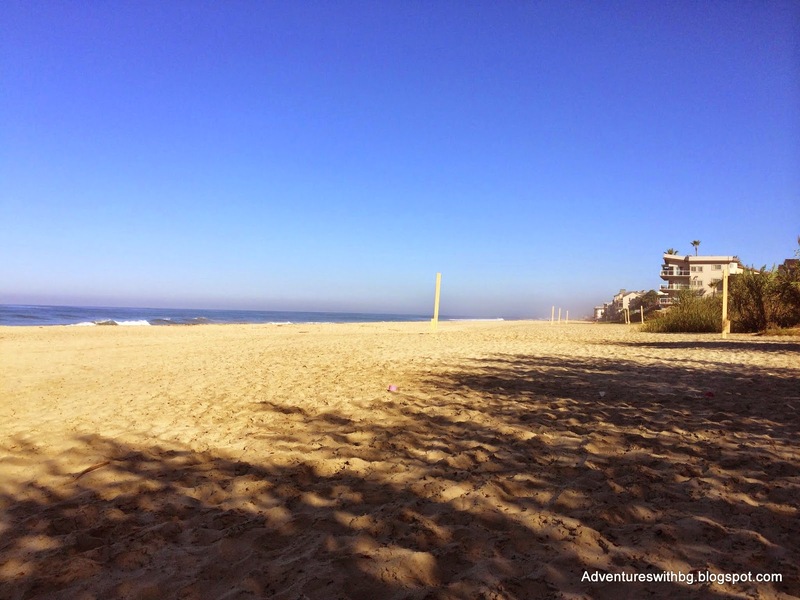 Today we had our breakfast and coffee (okay, coffee was just for me, I need a little help being up at 6:45am…) on the beach while we watched the enormous waves crashing and the surfers trying to catch them. Turns out Tropical Storm Marie is having quite the effect on our surf over the next few days. Little J loves the beach and we usually get in the water, but after a saltwater and boo-boos mishap from yesterday, we have decided excavating (his word, not mine) in the sand is a lot less painful. Feel free to bring a football/volleyball, boogie board, towel, Frisbee, sand bucket and shovel along with you on your beach adventure, but all Little J needs are a giant kitchen spoon and colander. The two absolute must-haves that should not be forgotten at home under any circumstance are a bottle of water and sunscreen. No matter your hydration level or skin color, you definitely have to bring these to the beach. Your body will thank you later and it will make for a day you will not regret! If you have ever been to Frazee Beach or have a great beach tale let us know. Sounds like the perfect day trip! Can't wait to hear more from Athena!